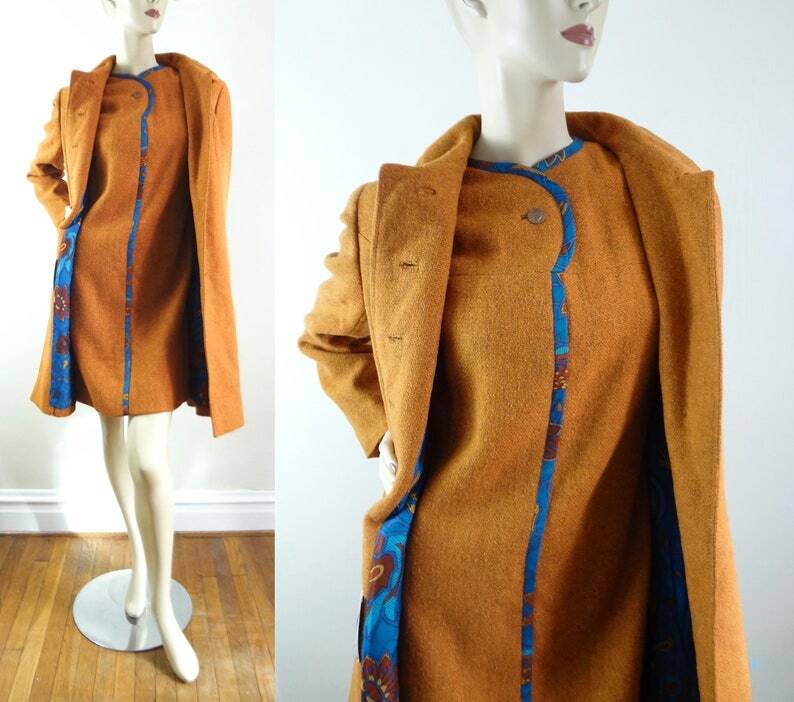 Vintage 60s wool coat and dress set. Rich brown orange shade similar to rust with striking blue accents. Coat features unique bronze shaded buttons with a shield & fleur de lis design, Peter Pan collar, side slit pockets, rear pleat & a stunning blue foral lining. Dress is short sleeve with a-line shape and is trimmed in matching blue fabric (matches the lining of the coat) and back zipper closure. 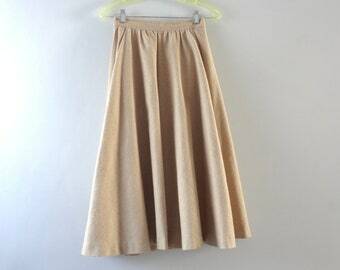 It is also fully lined in rust brown fabric. Impeccable quality - beautifully tailored - a gorgeous set ! Quality is Superb. Condition is Excellent to Mint - this set looks new with no flaws. This is a beautiful, charming painting that is even lovelier in person than in the photo. It is very soothing to look at and will hang where we can see it often every day. It arrived immediately. Thank you so much. Accurate measurements are given in the item descriptions. 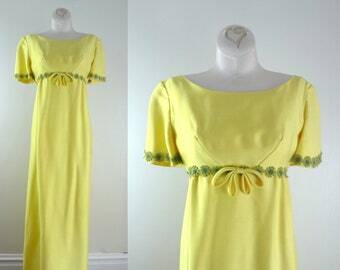 We also try to provide a modern day size on items like vintage dresses. 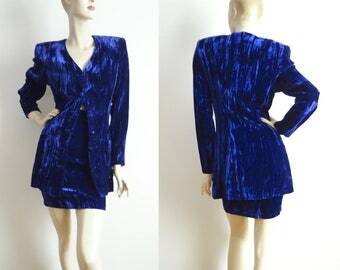 Please note that when purchasing vintage clothing you must know your measurements for proper fit. Vintage sizes vary significantly from modern day sizes. If you ever need additional measurements please contact us and we will be happy to assist you. It is always a good idea to compare measurements with something you already own that fits well. What is your Return Policy in detail ? We want you to be happy with your purchase and always provide detailed measurements, descriptions & photos so that you know exactly what you are purchasing. However, if you are not satisfied with your purchase we will accept returns as a store credit or exchange on most items given that you follow our guidelines below. If you prefer a REFUND please note there is a 10% restocking fee. 3 Day Return Policy -To return an item, you must convo us within 3 days of receiving your purchase to arrange for a return. Please state reason for return. The item must then be returned within 7 days, in its original packaging, insured for its purchase price, & must be received in the same condition as when it was shipped to you with original tags intact. Items MUST be UNWORN. Please also note that cigarette smoke will be considered damage to the item as this is very difficult to remove. Shipping is nonrefundable. All shipping fees are the responsibility of the buyer. Please be sure to insure and have tracking information for your return package. We are not responsible for lost, stolen or damaged packages that are shipped back to us. After verifying that the returned item is as originally sent, we will issue you an immediate store credit or you may choose to exchange the item for something else in the store. Again, if you prefer a refund we will deduct the original shipping fee, the 10% restocking fee and then issue you a refund. Certain items are non-returnable and are a final sale. These items cannot be returned for store credit, exchange or a refund. How do you rate the condition of the items? All items are carefully inspected. Any flaws will be noted in the description and/or shown in a close up photo. We are very selective about the items we sell so feel confident that you will receive quality vintage merchandise that can be worn for many years to come. Please remember our items ARE Vintage and may have slight wear or an occasional storage mark, however, we do mention any noticeable imperfections in the item description. 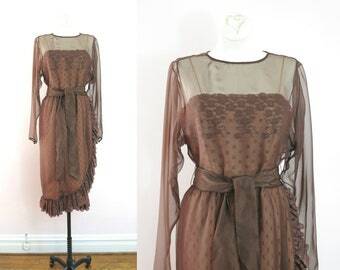 Most items are in excellent to new condition and all items offered are wearable ~ not just collector pieces. Occasionally we do offer a piece that may be available for study or display but this will be mentioned in the title & description. See below for complete condition description. 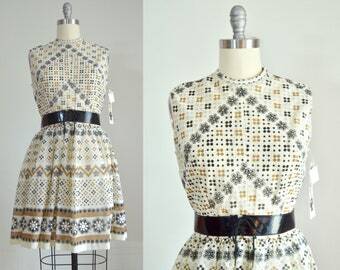 New Old Stock ~ Unworn vintage with original tags attached. May or may not be mint. 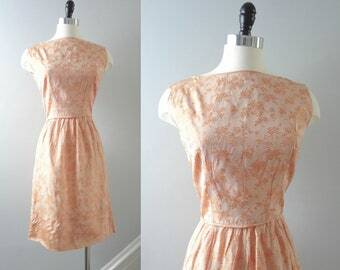 Mint ~ Like New, may have been worn, no flaws noted. 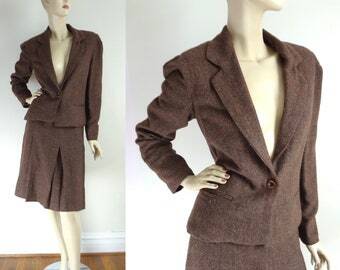 Excellent ~ No obvious flaws, gently worn vintage condition. Very Good ~ Noted minor flaws which are only evident under close inspection. Good ~ Noted minor flaws, shows some wear. Item is wearable but may need minor repair. Fair/Study ~ Garment has obvious permanent stains and/or fabric wear and is not wearable in its present state. These items are sometimes useful for display, costume, or study. How long does it take my order to ship? Most orders ship out within 1 to 3 business days. If there is a delay for any reason we will contact you. Once your item has shipped you will receive an email with tracking info. All items will be insured.